It was another amazing day in the Coachella Valley. Started off with a visit to the S.C.R.A.P. 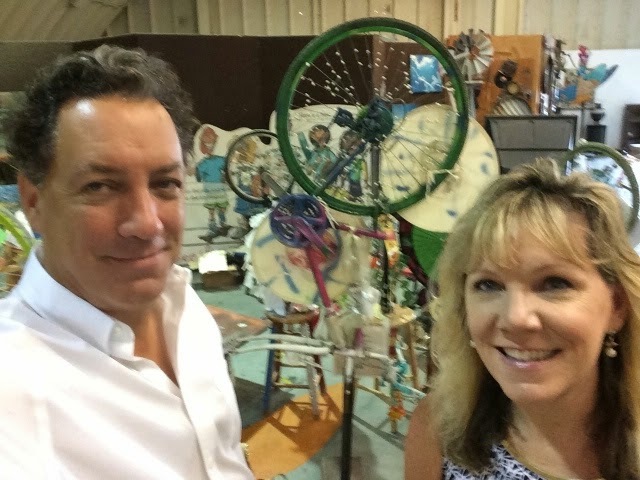 Gallery, on the Riverside County fairgrounds, a place where the discarded becomes renewed, where young people get hip to the power of turning refuse into meaningful art. Here’s a perfect example. 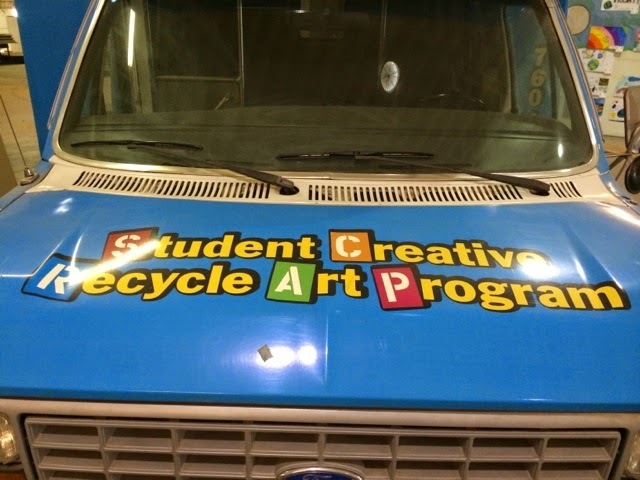 The van that used to be the gallery’s mobile unit is not driveable any more so it’s being recycled as an indoor art space. And all around the gallery there are workspaces chock full of possibilities…materials, work desks, inspirational art, and tons of other stuff ready to inspire young minds. For 17 years the founder/director Karen Riley has been a stalwart arts and environmental advocate, artist and educator, teaching kids and their families about the synergy of environmental awareness and creativity. 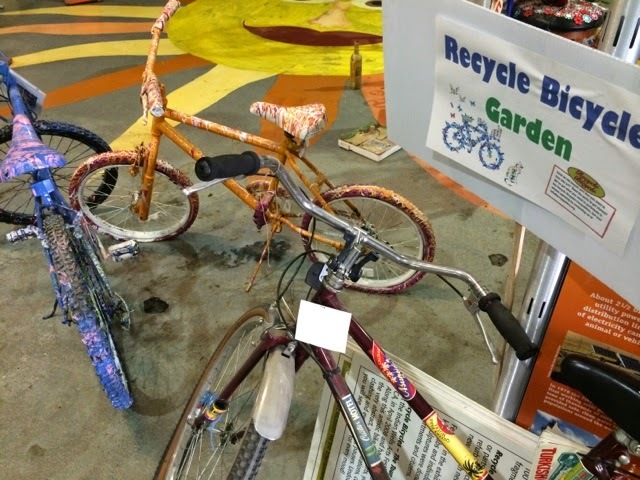 I particularly liked the Recycle Bicycle project, and was impressed by how these two-wheelers coasted winningly into the Object Trouvé Art Festival. Karen was very generous with her time and ideas, and is eager to be a Crisalida partner. 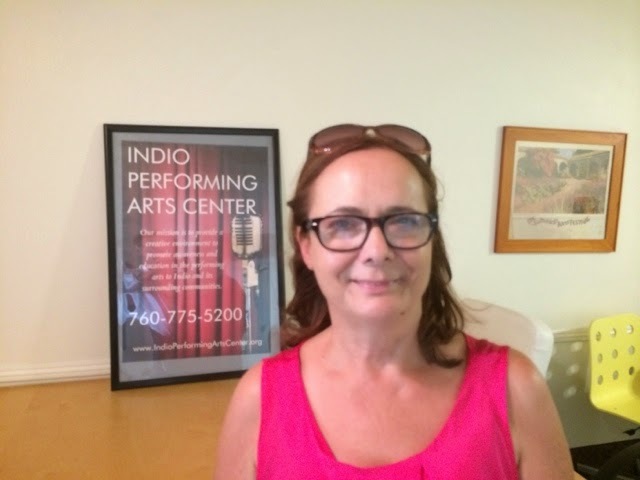 The next stop was the Indio Performing Arts Center and a visit/tour with Jeannette Knight. It’s an amazing space, with three theaters, lobby space, office space, huge auditorium, a large kitchen, and a great location in downtown Indio. Jeanette’s many years as an actor, theater educator, teaching artist, and all-around cool person, make her a terrific resource for the community. She told me about the various projects they have going on including the Improv Comedy Festival (which was a huge success this past July) an upcoming production of RED, the play about the abstract expressionist painter Mark Rothko, as well as other productions, and several outside companies that are producing shows in the space. 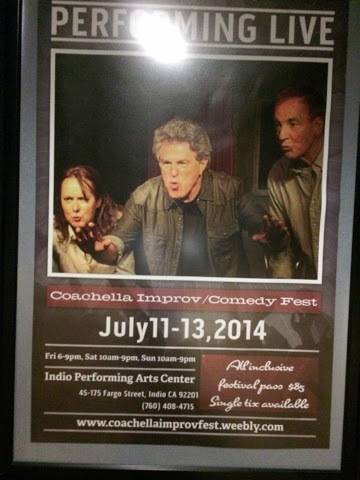 We brainstormed some ideas about me giving some workshops to support the next round of the Improv Festival. That will be a lot of fun. 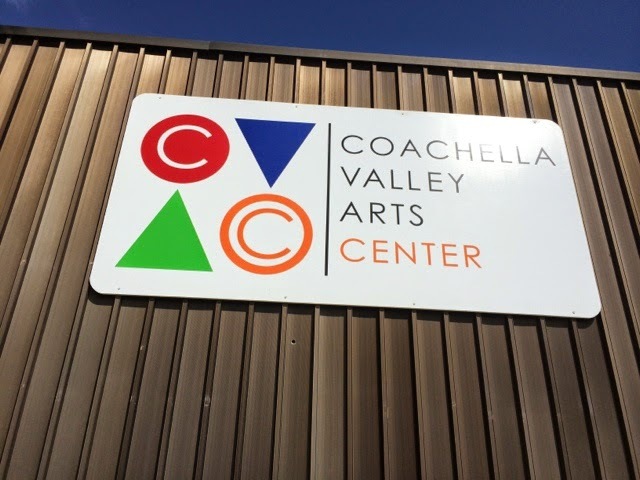 After a lunch at the wonderful Mexicali Restaurant on Indio Blvd I dashed over to the Coachella Valley Arts Center, and a meeting with the indefatigable director/founder Bill Schinsky. A lot of people have this idea — to create a multimodal community art space with galleries and workshop space, and studio space, but very few actually realize it. Bill has done it, and really well. He told me that come November the center will be at capacity, with visual artists, sculptors, glass artists, metal artists, and a whole lot more. He’s come up with a really creative solution to community-based art, and has the chops to keep it going. Here is Bill standing next to one of his own pieces. 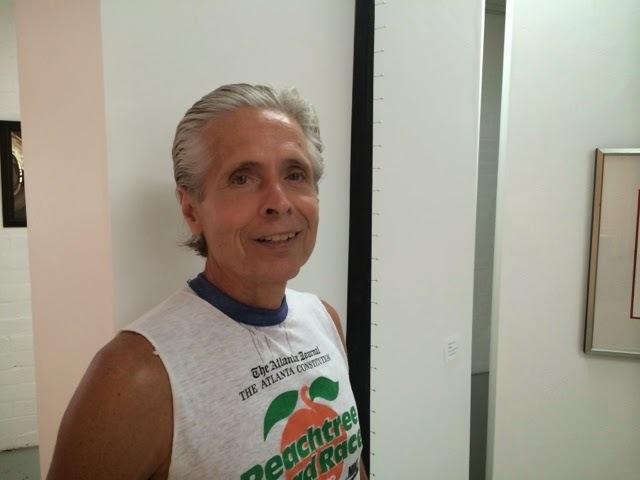 Bill is also on the boards of several other arts organizations, he is a terrifically integrated and connected person whose heart is absolutely in the right place. The 17,000 square-foot space is a marvel to witness. At every turn there is equipment, art, and the sense that new things can happen at any moment. There are classes, workshops, and a gorgeous gallery space. Okay, so this place is really starting to grow on me. All the people I have met so far are terrifically dedicated, creative, and determined to make an impact in the valley. I feel like I’m starting to build up a collection of friends and collaborators, and that means I’m starting to feel at home.